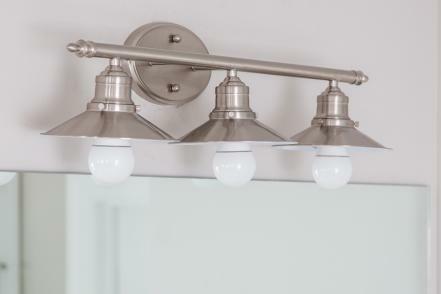 Swapping outdated fixtures can go a long way to giving your bathroom an updated look. 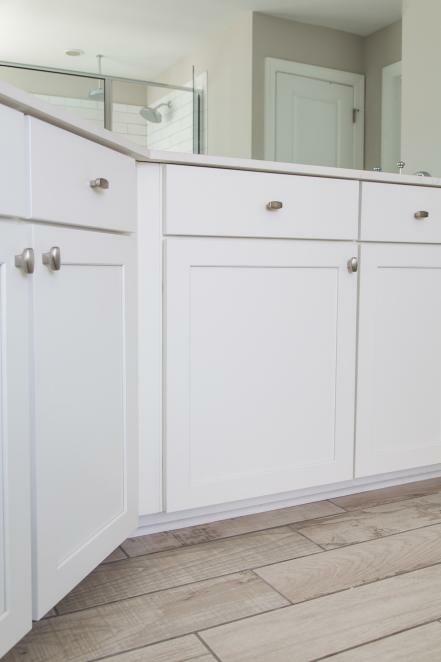 Go for popular finishes like satin or brushed nickel that pair well with most tile. For a more classic look, chrome is a good choice. Just watch out for water spots! For shared bathrooms, installing an extra sink can be a brilliant move. As a rule, you’ll need a minimum of 60 inches to comfortably accommodate two sinks. Vessel or undermount styles will make the most of limited counter space. Swap out contractor-grade light fixtures for something more stylish and functional. For a layered lighting effect, include overhead as well as task lighting at the vanity mirror. Install a dimmer for added versatility and control. Consider how much storage you need when selecting vanities and other cabinetry, and don’t overlook the convenience of having multiple drawers for keeping cosmetics and toiletries close at hand. If space is tight, go vertical with shallow shelves or upper cabinets. 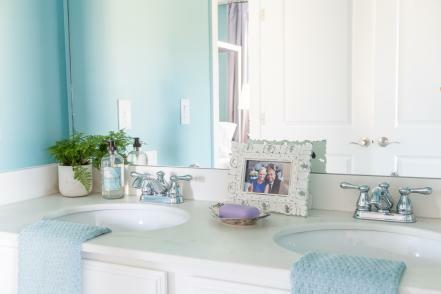 Keep paint colors light and neutral in the bathroom for a clean, fresh look. 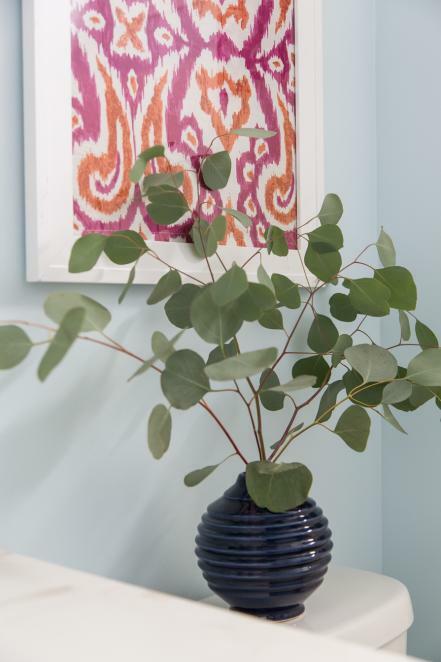 Colors like Sherwin-Williams Sea Salt SW 6204 or Behr Evaporation N450-1 will give the space an airy feel, and the white fixtures will pop in contrast. If you have a tub, transform it into a dreamy destination by styling it with your favorite bath products and accessories. 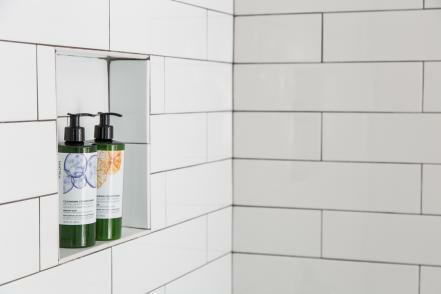 Keep pretty towels, aromatic soaps and colorful bath salts within reach. Add plants and interesting vessels into the mix for a designer look. If your bathroom has a tiny, outdated tub, consider having a contractor replace it with a spacious shower. Thoughtful features like built-in shelves, storage niches and benches are upgrades you (or future owners) will greatly appreciate. Whether it’s on the floor, tub surround or shower, choose your tile wisely — it’s not something that can be easily replaced down the line. Stick with classic designs, neutral colors and a pattern you can live with for a long time. Keep in mind, large tiles can help a small room appear more spacious, and diagonal installation can help a narrow room appear wider. 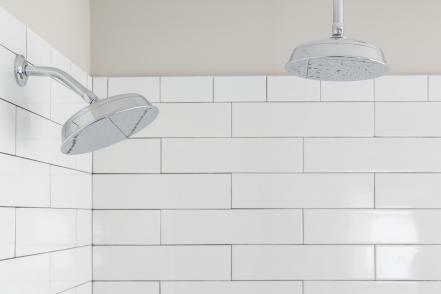 Replacing a dated showerhead with a new one is so easy you can likely do it yourself. 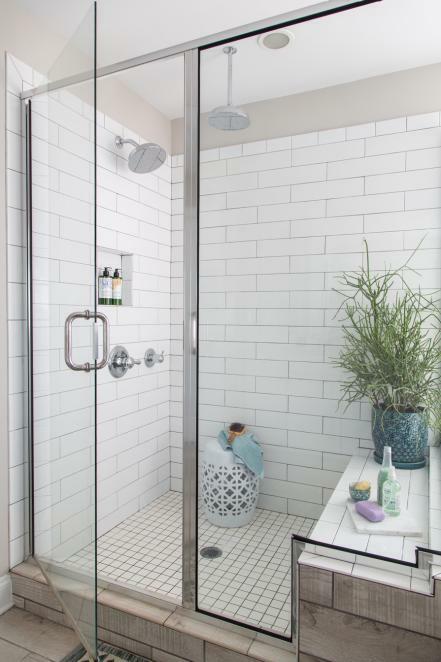 Extra points for having a pro install luxury features; hand- and multi-head showerheads or multifunction shower systems will give the space a spa-like feel. Whether you’re putting on makeup or just trying to wake up, natural light in a bathroom is always a win. 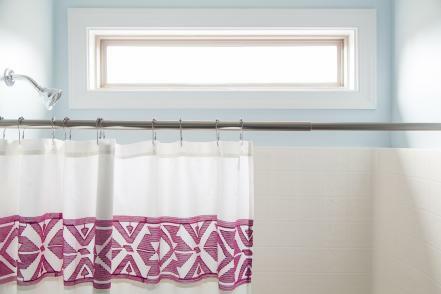 Even a small transom window can provide a significant amount of light and help a small bathroom feel airy and bright. 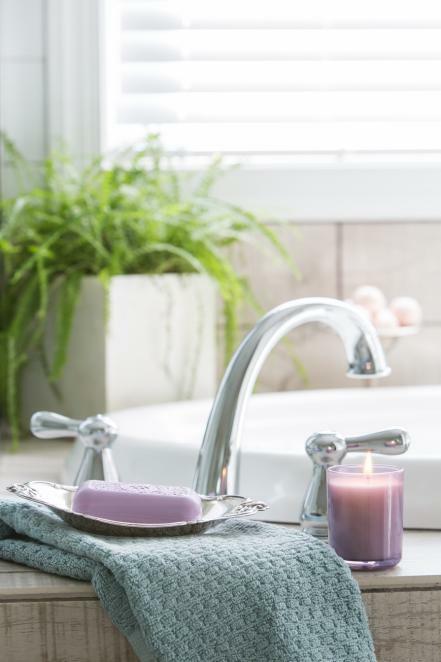 You’d be surprised at how a deep clean of every nook and cranny can refresh the overall appearance of your bathroom. Scrub caked-on residue off cabinets, fixtures and out of grout lines. 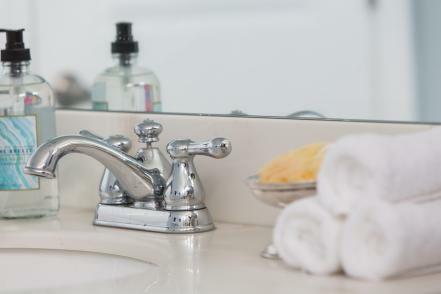 Get your bathroom sparkling with homemade cleaners you can make in minutes.